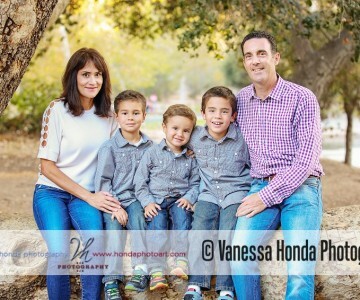 It was time to update photos for this lovely family! 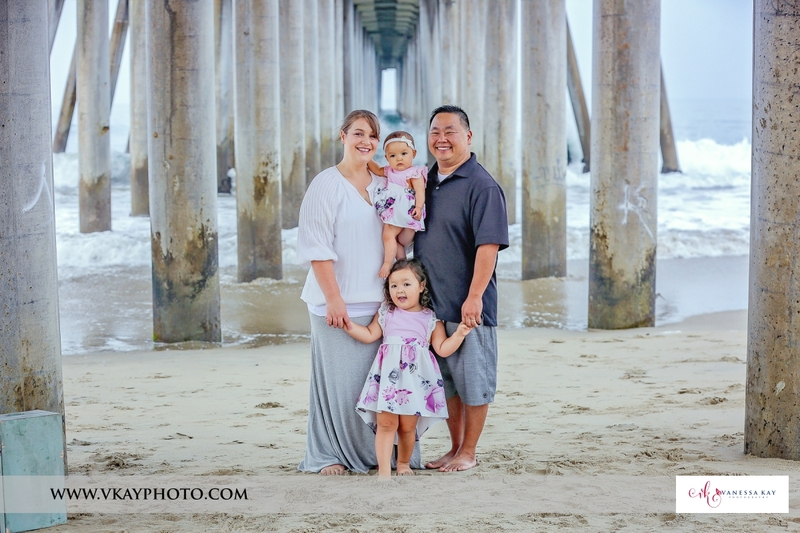 They came to me three years ago, when their oldest daughter was the age their youngest daughter is now. 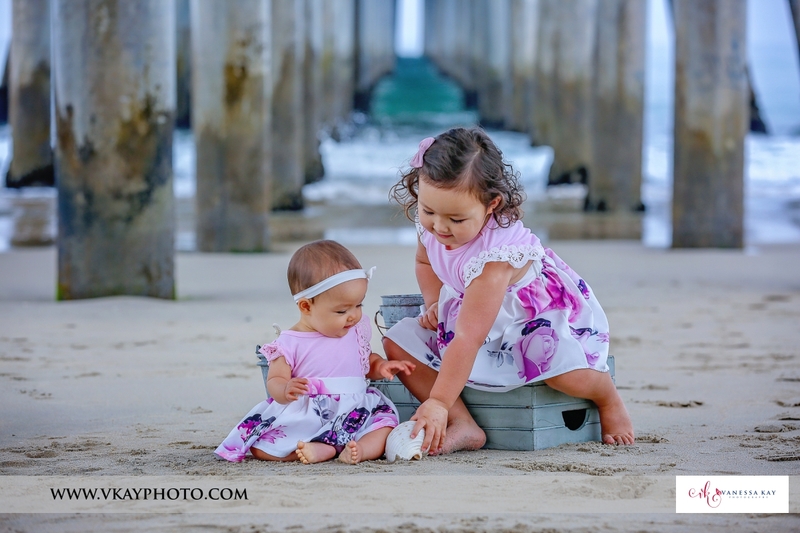 Around 7-8 months has to be my favorite age to photograph little ones! They are able to sit solidly on their own, but can’t yet run away. 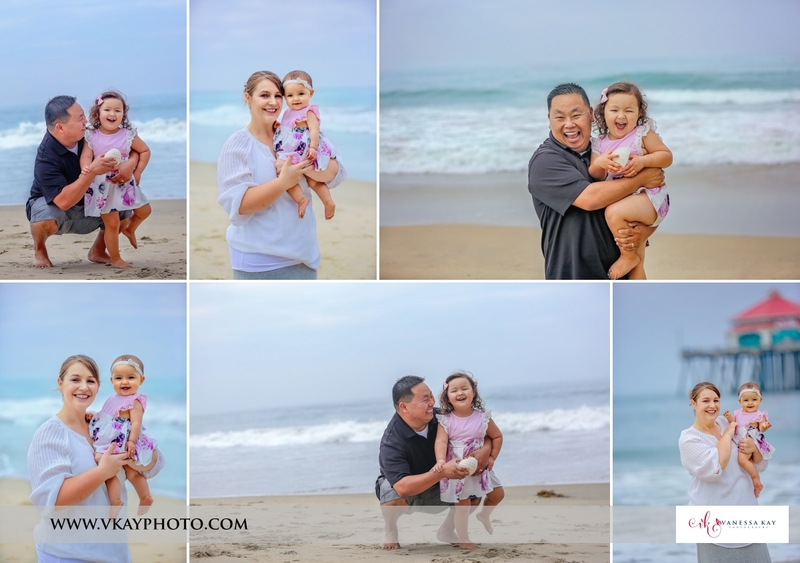 They are full of smiles and their personalities are just starting to shine through! Three years ago we enjoyed a beautiful sunny morning session in Laguna. 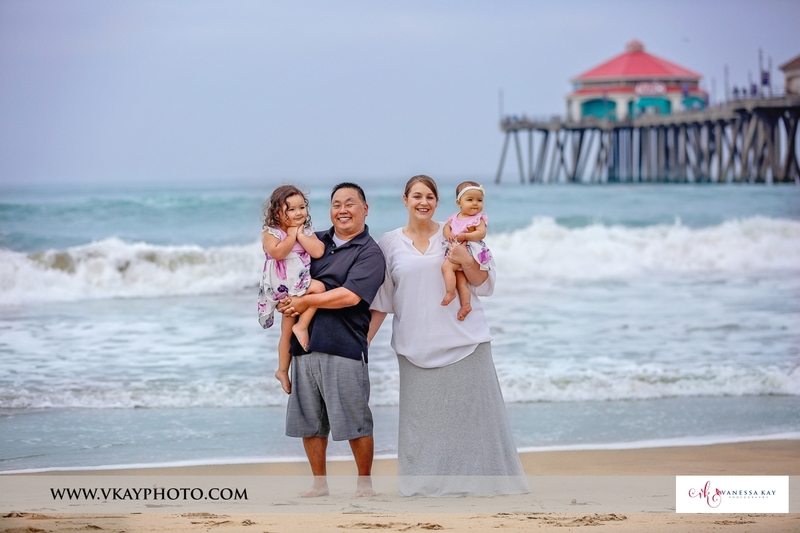 This time around we went for early again, but thought we’d try this family’s hometown of Huntington Beach. 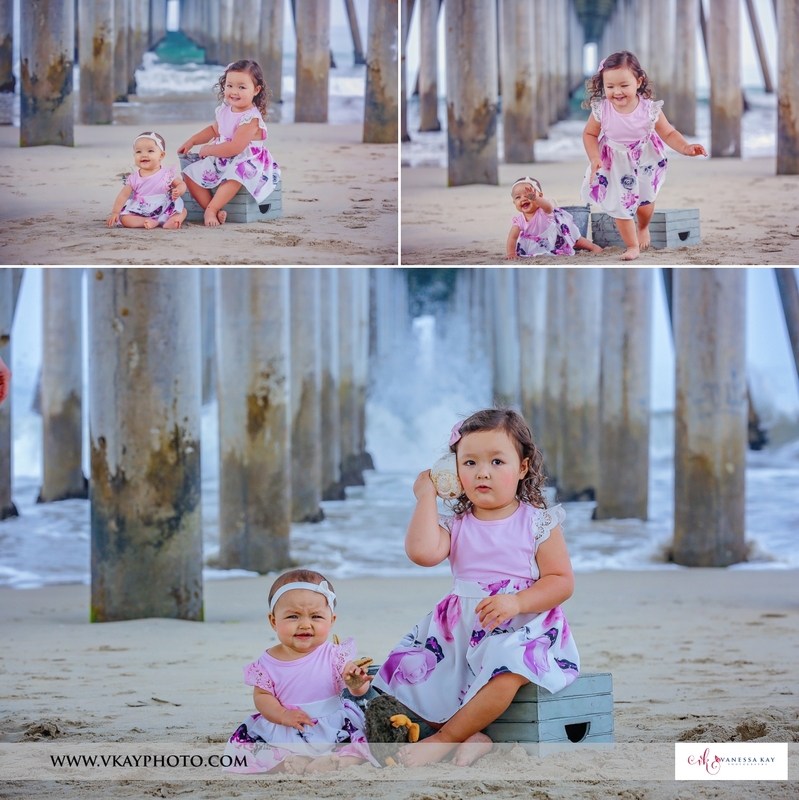 Having a pre-schooler AND an almost toddler can make things challenging when trying to get photos, but the key is making it fun for the kids and then capturing their natural smiles – in between the posed shots for the wall. And actually, the fun & interactive images are my favorites for the wall even more than the posed photos sometimes. They tell the real story of what a family is all about. 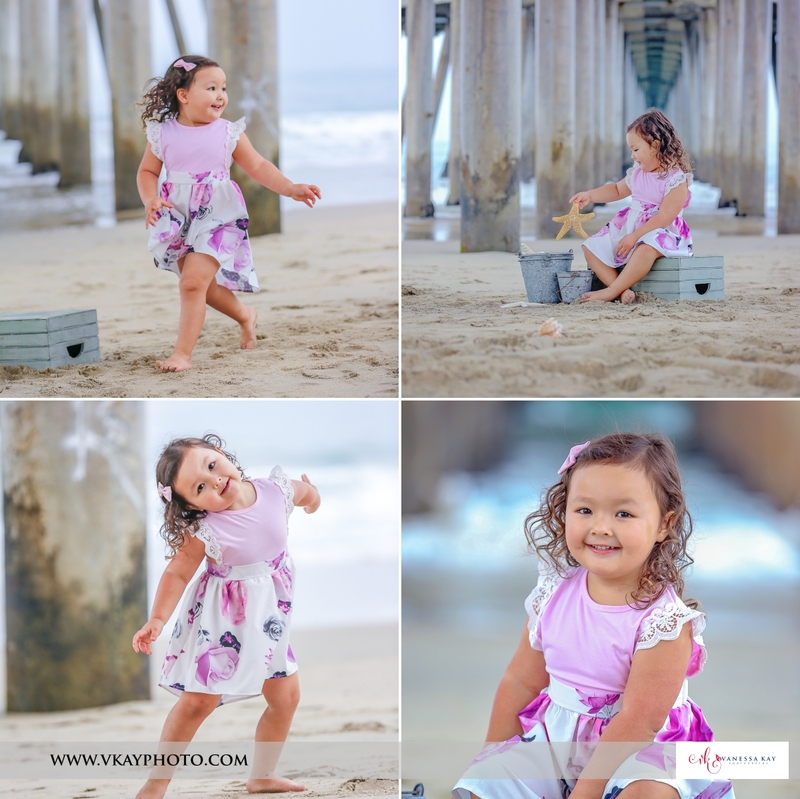 Penelope loved playing hide-and-go-seek and peek-a-boo around the pier and chasing the waves as well as being thrown in the air. 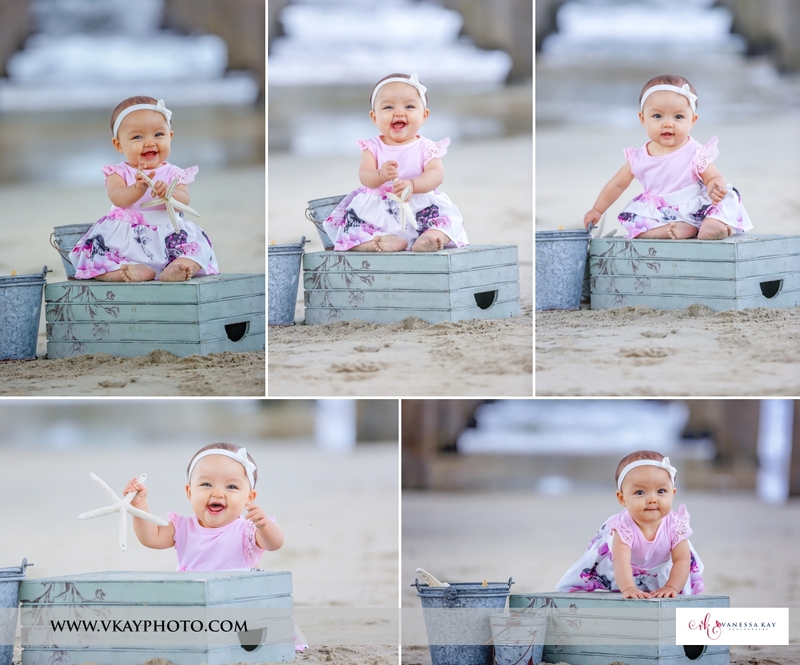 The baby loved cuddles and seashells and sand! 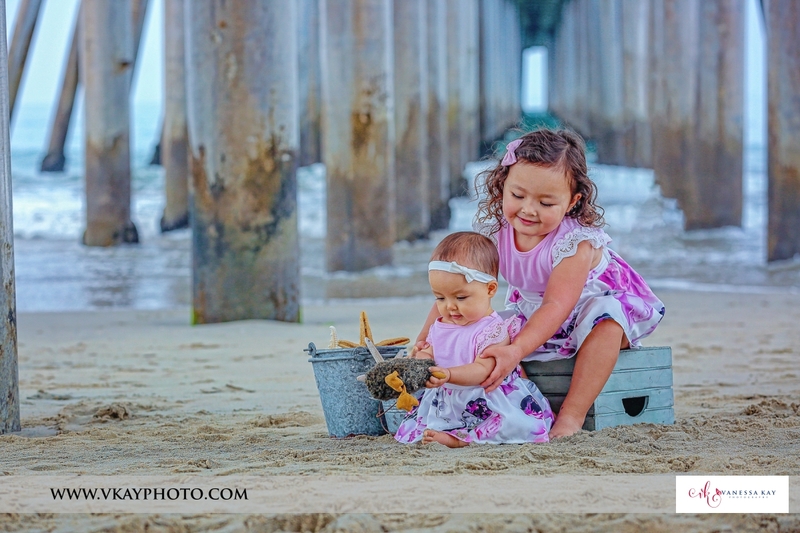 And she obviously adores her big sister! Both girls loved one-on-one time with mom and dad! I think when all was said and done we were all ready for a mid-morning nap though! 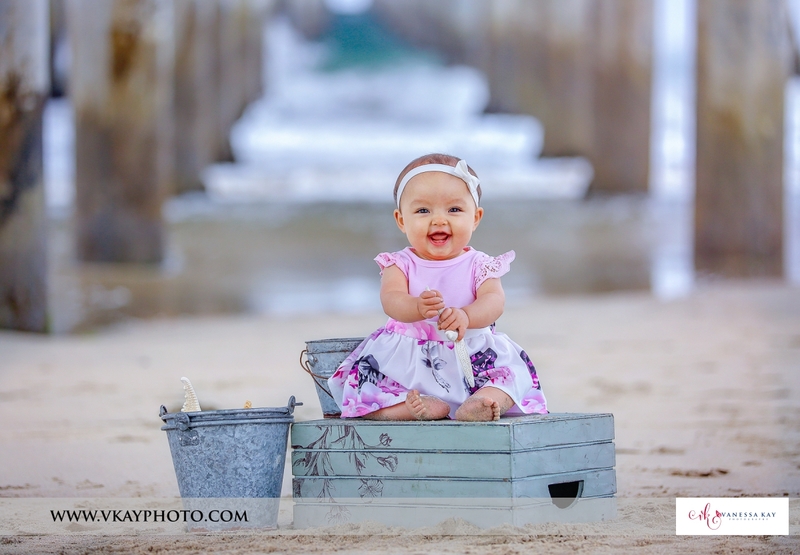 The great thing about scheduling an early shoot is that awesome babies are happier and then you have the whole rest of the day to enjoy or relax! Enjoy your sneak peek “T” family!